With his impish charm, his flair for wordplay, and his guy-next-door realness, it's easy to relate to Berkeley by way of Sacramento rapper Caleborate. Last year, the young artist released the autobiographical 1993, a diverse effort inspired by his experiences growing up and brimming with youthful energy. Following up that effort with an equally accomplished new project, Caleborate announces he will release Real Person on later this fall. While 1993 examined Caleborate's past, Real Person is a detailed and lyrical account of Caleborate's present. The project finds Caleborate confronting his relationships, his career goals, the current presidential administration, and his struggle breaking through to the mainstream despite his superlative talent. Packed with soul-sampled beats that evoke the sonic palette of College Dropout-era Kanye West, Real Person is a clever and impressive effort, and might help transform Caleborate from an Underdog into a Top Dog. Featuring production from Ian McKee, Lege Kale, Chonchies, Drew Banga, and Willem Ardui, Real Person arrives later in 2017 via TBKTR. Born in Sacramento and a resident of Berkeley, Caleborate built his considerable fanbase online, eventually earning a spot on the 2014 edition of The Thizzler's Bay Area Freshman 10, which has featured luminaries such as Nef The Pharaoh, IAMSU!, and Sage The Gemini. In 2015, Caleboratecollaborated with G-Eazy for "Want It All" and released his album Hella Good, which received critical praise from Pigeons & Planes, The Source, and SF Weekly, which named it the Best Hip-Hop Album of the Bay Area for 2015. Last year, Caleborate expanded his sound with 1993, which Earmilk called "the album for your 20s." The project featured highlights such as the electronic-influenced banger "Consequences," and the optimistic "Options," both of which were featured on Spotify's Most Necessary playlist, as well as quality deep cuts like the minor-key banger "Kale," the heavy, head-trippy "For Sallie Mae," and the slow-mo P-Lo-produced "Lil Cel." Most recently, Caleborate shared the loose, exuberant "Make Me & Take Me," which was accompanied by a one-take video that depicted Caleborate depositing a check into his savings account at the bank. Today, Caleborate shares "Soul," the introspective and revealing first single from Real Person. Deploying a sing-song, yet conversational flow over a deeply hypnotic instrumental, Caleborate gives thanks to his supporters and his family, but ultimately decides that he is most comfortable when he is alone. The track echoes the project's theme of remaining true to yourself when you attain success ("don't let them take your soul, goddamn.") With "iSpy" producer Lege Kale behind the boards, "Soul" seamlessly weaves between several samples, including a sample of Laura Nyro's "Save The Country," the same song Kanye West used as the basis for his 2007 cut "The Glory." 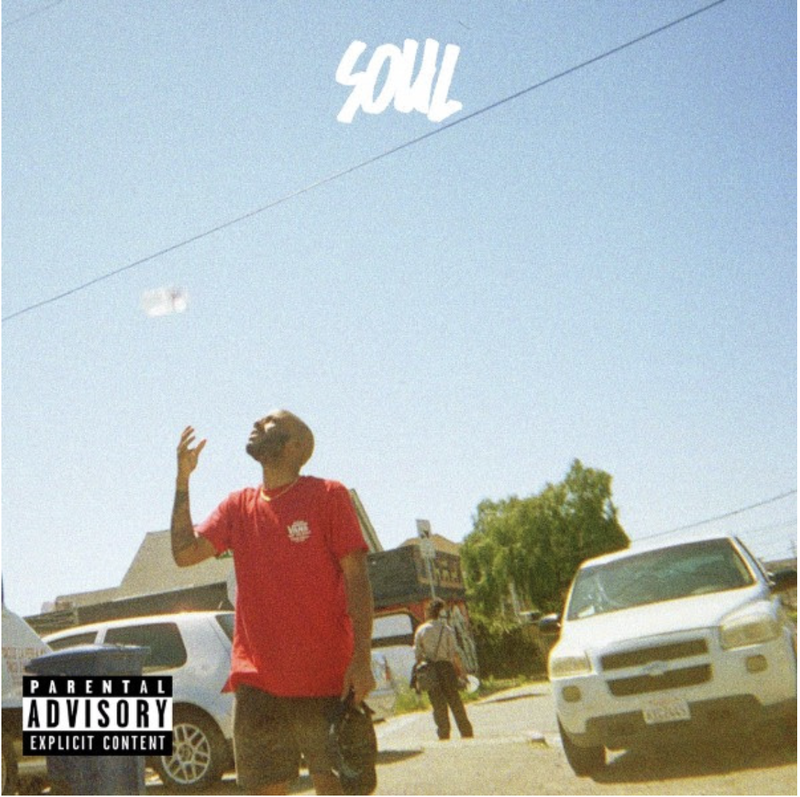 Premiered by LA Leakers, "Soul" is another chapter in Caleborate's underdog story. If he keeps going at this rate, the streams, the sales, and the magazine covers will follow for this promising rapper. 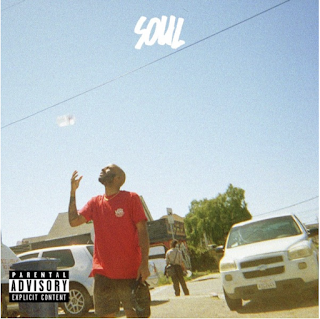 Explains Caleborate, "I wrote 'Soul' in the beginning of the year, around when so much if my life was changing - I saw my dad for the first time in years, I was breaking up with my girl. I wrote it because it’s what I needed to do for myself but I realized it’s also something that other people might need to help themselves. It’s damn near spiritual. When I say 'don't let them take your soul," I'm talking about people trying to steal your shine. It could be anyone trying to drag you down; your parents, your co-workers, people on the train, someone having a bad day…A lot of people can throw off your vibe if they aren’t on the same wave as you. They can take your soul, your juice, your flavor, the stuff that makes you, you. You’ve got to protect that."